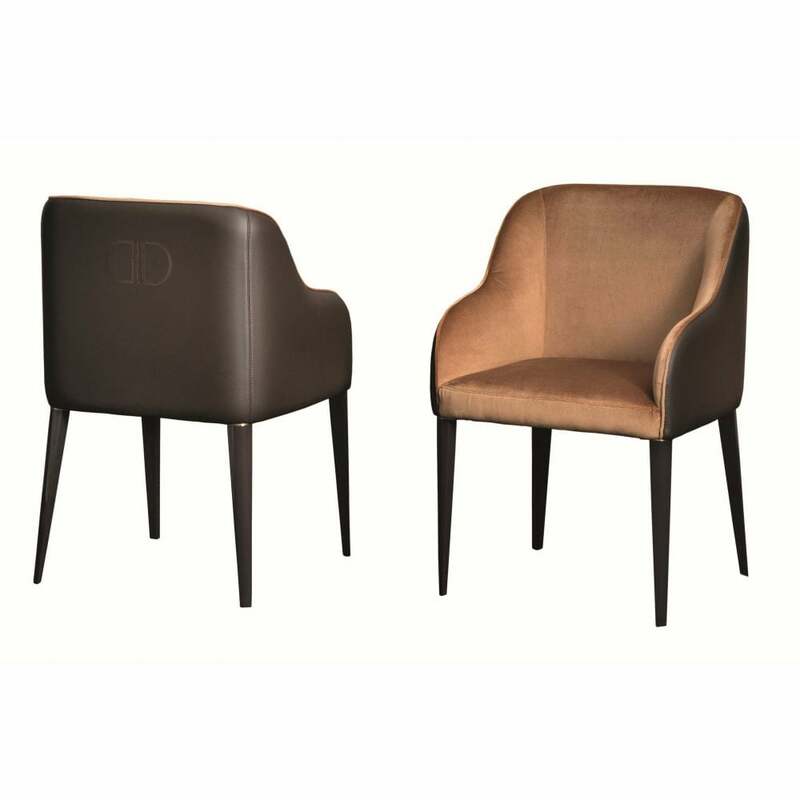 Combining style and comfort, the Julia Dining Chair from the Daytona range is inspired by the glamorous designs of the art deco era. Hand-crafted from solid beech wood and plywood, this timeless chair features tapered legs with a smoke lacquer finish. Upholstered with a soft, smooth leather exterior, the curved shape is then complemented by a luxurious suede seat and backrest. Style with the Bolton dining table, also by Daytona, to create a sophisticated room setting. Choose from a range of warm and cool tones leathers and fabrics as well as precious woods used for the chair legs. The Julia chair is made completely bespoke to your exacting taste and requirements. Make an enquiry for more information.